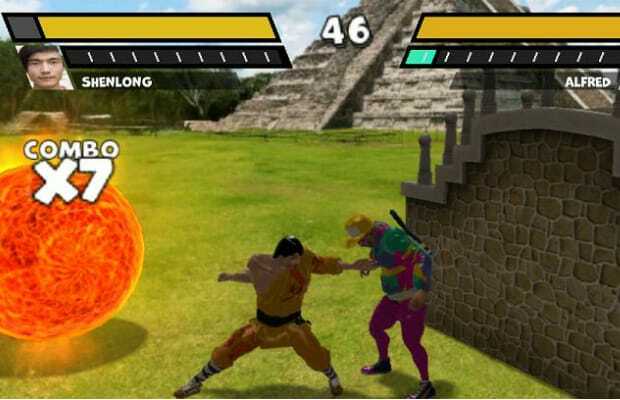 Between Photo Dojo on the Nintendo DSi and Kung-Fu: High Impact on the Kinect, it seems user generated fighting games aren’t going anywhere. Reality Fighters takes it up a notch by taking advantage of the Vita's augmented reality to turn a video camera image into the actual arena. What is equally notable is the character creation mode which does a decent job in capturing your facial likeness with the camera. Add to that the unsurprising suite of customization options such as the fighter’s build, outfit and fighting style. The move selection is slightly less than robust nor are the moves complex. Unlike Photo Dojo, it was gratifying that I couldn’t find any defensive or offensive move exploits during my brief hands-on time. It seems like we’re still years (ok, decades) away from a user-generated content fighter that can seriously compete with Street Fighter and Tekken, but Reality Fighters feels like a positive step beyond the novelty appeal of past photo-based brawlers.